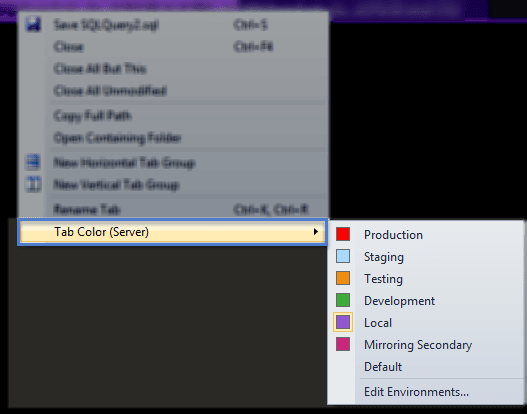 If you haven’t explored the visual color coding of tabs based on pattern matches with SQL Prompt, I’d suggest you check this out. 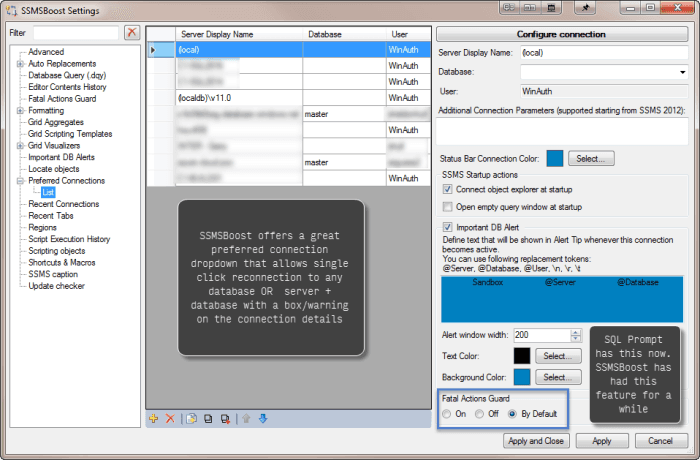 Earlier iterations of Red Gate’s SQL Prompt did not change tab color immediately when the connection was changed. Red Gate’s tab color could get out of sync occasionally, so I stopped depending on it. 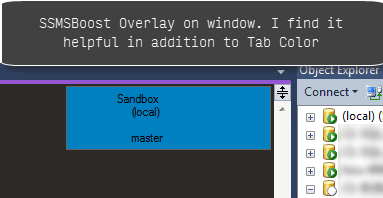 Apparently this has been improved on and my testing now shows that the tab recoloring for connections is changing when the connection is updated immediately. This is a great visual indicator of what your query window is connected to. SQLPrompt enhancements to synchronize object explorer connections based on the current query window would be another great option. I created a user voice item on this here. Overall, I’m finding myself depending on SQLPrompt more. As a member in the Friend of Redgate program, I’ve had access to try some of the new beta versions and find the team extremely responsive. Disclaimer: as a Friend of Redgate, I’m provided with app for usage, this doesn’t impact my review process.